Are you a small business – wondering if you should be spending the time, money and effort on SEO? 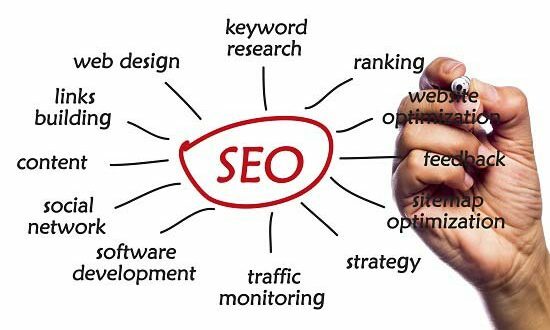 SEO – Search Engine Optimization – has been around a long time and it’s a great way to optimize your website pages so that they come up high in SERPs (Search Engine Results Pages). As you probably know, Google is the big kid on the block when it comes to search. Google processes nearly 40,000 searches every second, which translates to over 3.5 billion searches per day. That’s a lot of search traffic – but getting to the top of Google’s search pages has become a mixture of science and an art form – and if you want to be successful, you need to constantly be up on the latest Google algorithm changes. (If you would like to geek out, here is a link to a timeline of Google algorithm changes: https://moz.com/google-algorithm-change). What is “Good SEO” for Small Business? For small businesses, there is some good news…and some bad news… when it comes to SEO. First of all, SEO is VERY important when it comes to organic (free) ranking of your pages in Google. Strong, foundational SEO ensures that Google creates clear descriptions on their Results Pages, and that your potential customers see the information they need so that they will make the decision to click to your site. What do I mean by “strong, foundational SEO”? All of these elements either show up on the Search Engine Results Page, or they help Google (or any other search engine) figure out what you pages, and your site, is all about. So as long as you have a good foundation in your SEO for all of the pages of your website, you’re in pretty good shape. No More Keyword Stuffing – Google will penalize you, even if it’s something that “some guy did years ago”. If you have lists of keywords in the footers of your pages or you mention multiple versions on the same keyword in a way that doesn’t make sense to a real human being (ex: “We’re the best plumber, plumbing services in Colorado that will do great plumbing work for you if you need a plumber.”), go in and clean it up. It’s not helping your ranking, and it could be hurting you. “Invisible” Content – this was a black hat tactic used years ago – basically you would include your keywords over and over again written in the same color as your landing page. At the time, the intent was to “trick” the spiders into thinking you really must be an expert in a certain word since it was mentioned so often, but it would have made your page look ridiculous if anyone could see “best car dealership” 500 times on a page. Comment Spam – yes, links to your site matter, but what Google frowns upon (and isn’t this all for Google anyway?) is links from other page comment sections that sends people to your site. Think about those annoying comments you see on other sites that go something like this: “Great comment! I used the same thing to make $1M in a week online. Click here to find out more.” If you have relevant content to show to people in the comment section, then that’s fine – but don’t comment with your link in the hopes of increasing your backlinks to your site. Google isn’t falling for that trick anymore. Don’t Buy Links – speaking of links, don’t ever, ever buy links (and while we’re at it, don’t buy social media followers either). “I’ll have 10K high-quality sites linking to your website for $50” is NOT the way to get your website ranked high in Google. 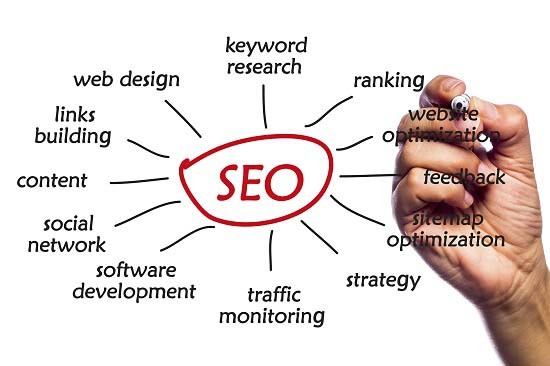 SEO is an important component to your site – but only if you do it right. However, keep in mind that using SEO as your sole marketing tactic is expensive, time-consuming, and on-going. So for small businesses with limited time and resources, I would recommend you get the basics right, create great content for your visitors that will Educate, Convert and Delight – and spend your marketing budgets buying traffic through social media, PPC, etc.